After much posturing and wailing and childish “why are they picking on us?” from CEO Henry Juszkiewicz, Gibson have agreed to a criminal sanction with the U.S. Government over imports of illegal ebony from Madagascar to the US in 2008 and 2009. Gibson’s statement on the matter still tries to make it look like they are treated unfairly but when we look at the facts as presented by the U.S. Department of Justice, a very different picture emerges. USDOJ and Gibson Guitar Agreement. Madagascar is a country where it was widely known that illegal logging of threatened species (such as ebony and rosewood) was a massive problem, rife with violence and political corruption, severely damaging to the dwindling stocks of those species, to other animal and plant species in the same habitats, and to the security, economy, and health of the local populations. Other guitar companies had stopped ordering wood from Madagascar for these reasons and Gibson were fully aware of these issues too. Yet they only ceased ordering wood from Madagascar after they were caught – as a result of the investigations resulting in this “Criminal Enforcement Agreement”. The agreement is not a criminal prosecution but is a criminal sanction, it is a fine for breaking the law, in particular the Lacey Act, but also “including, but not limited to Conspiracy“. Gibson ordered wood for use as guitar fingerboards from a German company based in Hamburg. They knew the German company procured that wood from a particular Madagascar forestry operator. Gibson knew that operator’s ebony stockpiles had been under temporary seizure, and subsequently deemed illegal for export. 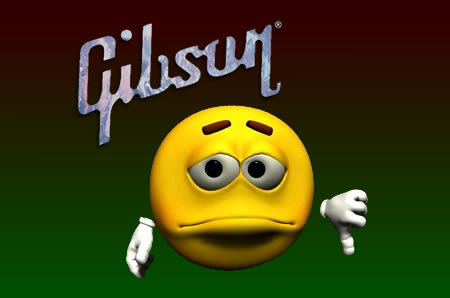 Gibson also knew that ebony could only be legally exported from Madagascar as finished products. The wood they wanted as “fingerboard blanks” would be ‘unfinished’ products and would therefore be illegal to export from Madagascar, no matter how legal the source of the wood. Gibson went ahead and ordered anyway. Gibson were also told that “in light of political instability and violence in Madagascar” that forestry operator could continue to supply them with illegal ebony. They ordered even more. Between October 2008 and September 2009, a total of 23,360 ebony fingerboard blanks arrived in the U.S., in four separate shipments destined and paid for by Gibson at a total cost of nearly $262,000. One of those shipments was falsely listed as building materials on the export documentation from Madagascar. The import documentation to the US was different again. Gibson did not ask for or obtain any documentation from any official in Madagascar, or from the German company, that the wood it was purchasing was legally harvested and exported. Gibson are required to do so under U.S. law. They didn’t even try until after they were caught. Personally, I am shocked by the facts I’ve read in the Criminal Enforcement Agreement. Gibson deliberately took advantage of the violence and instability in Madagascar to obtain ebony that they knew to be illegally sourced and illegally exported. They did not simply fail in their legal and moral responsibilities, they willingly ignored them. I am disgusted by their behaviour in this case. Gibson are disgrace to the industry. Edited 18 Oct 2017: clarification of Madagascar vs Indian wood investigations added.